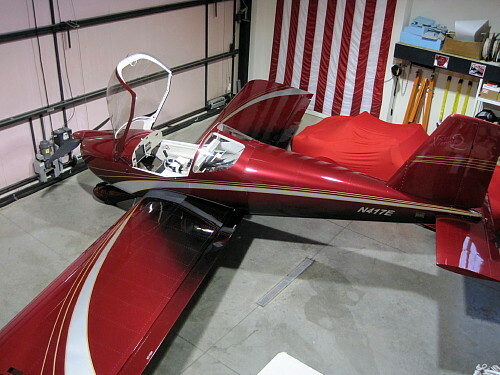 Welcome to the RV12 Project home page where I will document my progress at building and flying a RV12 ELSA airplane to be used in my quest to visit every state in the continental United States for charity. This site is one of a series of web sites that document my various aviation and automotive projects, both past and present. If you linked here directly and would like to view my other projects, please click HERE. From this page you can navigate to any aspect of the RV12 construction effort that you'd like to see. Below, in the construction log you'll find all of my assembly pictures and narrative for every phase of my project. You can start at the beginning and page sequentially through every page or you can click on just a specific item of interest. If you want to know more about what a RV12 really is, then go to the bottom of the page and there, I'll do my best to describe it for you. This airplane is currently for sale. To see the flyer with all the information, click HERE. I also have a few videos of my trip to Maine with my son. HERE is a video of us flying up the Hudson River past Manhattan and Ground Zero. HERE is a video of us leaving Rockland, ME for Bar Harbor, ME. HERE is a video of us making a low pass over Bar Harbor, ME. 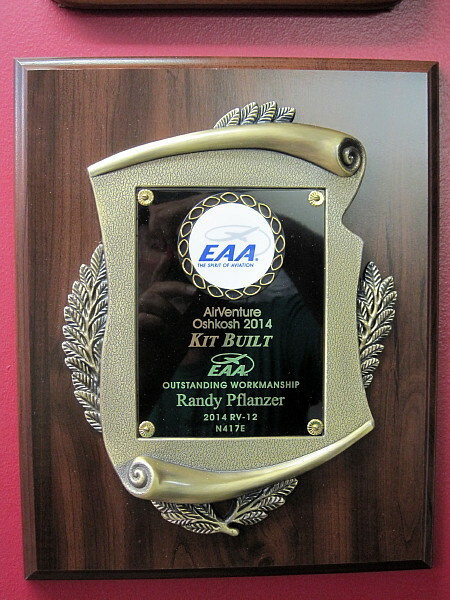 At Airventure, I was fortunate enough to win an Outstanding Workmanship award with my RV-12. I completed a 5,000 mile round trip adventure to Oregon in June 2014 to get the airplane painted. To read that story, click HERE! The RV12 ELSA is an airplane that you can build in your garage and fly it anywhere! Sounds cool huh? 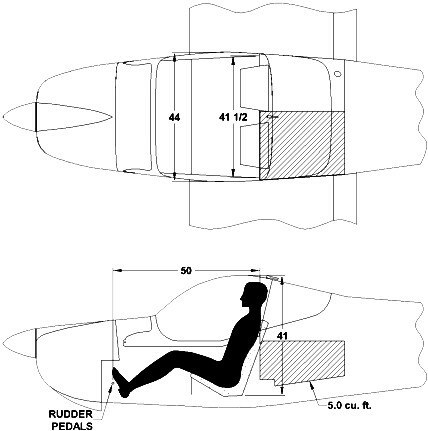 It is a two-seat all metal side-by-side airplane that has great visibility underneath a bubble canopy. It is a kit airplane and those kits are designed, manufactured, shipped, and supported by a great company, Vans Aircraft, in Aurora, Oregon. They sell many different airplane kits of varying configurations from single seat to four seat and side-by-side and tandem seating. If you would like to explore the world of experimental aviation, I invite you to visit their web site and see all that is available. You can go there by clicking HERE. 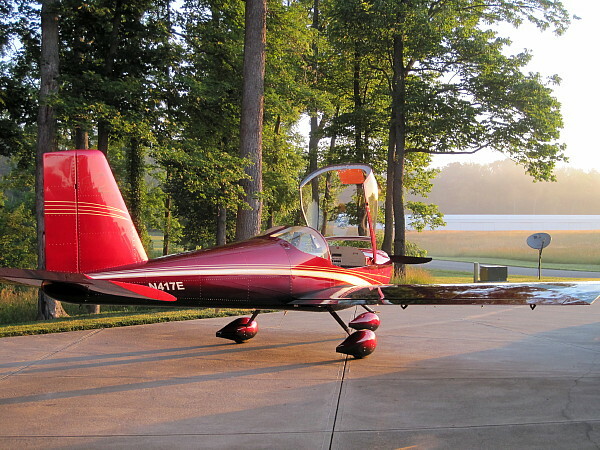 The RV12 meets the certification standards of the Light Sport Aircraft category. 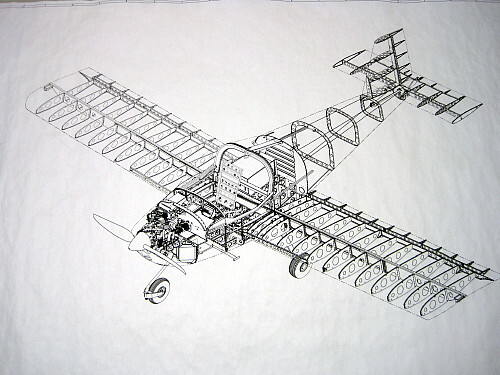 Since you build it yourself, it is also classified in the Experimental category, hence the designation ELSA (Experimental Light Sport Aircraft). 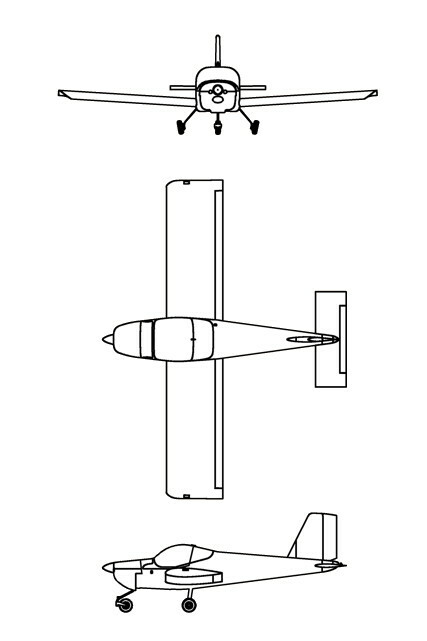 Basically, an ELSA (or just LSA for a production-build airplane) is similar to a general aviation category airplane except the ELSA has some limits placed upon both the airplane and the pilot. There are also limitations in terms of when and where you can fly. It gets a little complicated trying to describe all the differences but the Light Sport category was created as an less expensive and less complicated entry level for new pilots and aircraft owners, hopefully, to encourage more people to enter sport aviation.